Remanded another four days | Daily Express Online, Sabah, Malaysia. KOTA KINABALU: Two contractors will remain in the lock-up for four more days after their remand was extended Saturday over allegations they submitted false documents to obtain projects from the Sabah Education Department. Magistrate Stephanie Sherron Abbie made the decision in chambers to extend the remand for both men, aged 32 and 59, after hearing a request from Malaysian Anti-Corruption Commission (MACC) investigating officer Mohd Faliq Basiruddin. The extended remand will expire Jan 23. Eight other men, who were also remanded in the same investigation, were ordered released by Stephanie with a bail of RM8,000 each. She also ordered them to report to the MACC office once a week. 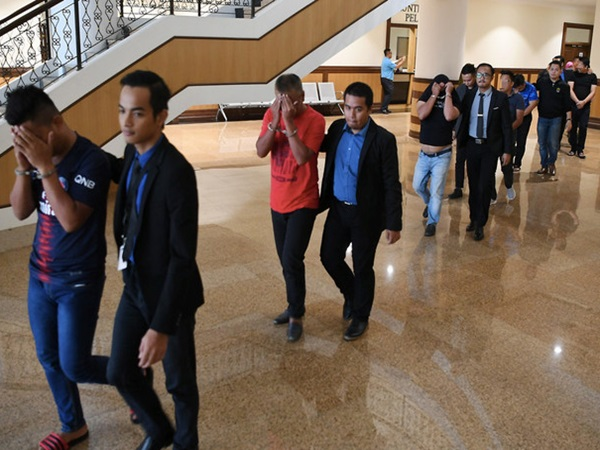 On Tuesday, 13 contracting company directors, including three women, were remanded for three and six days over suspicions that they had obtained millions of ringgit in projects from the department via fraud since 2016.